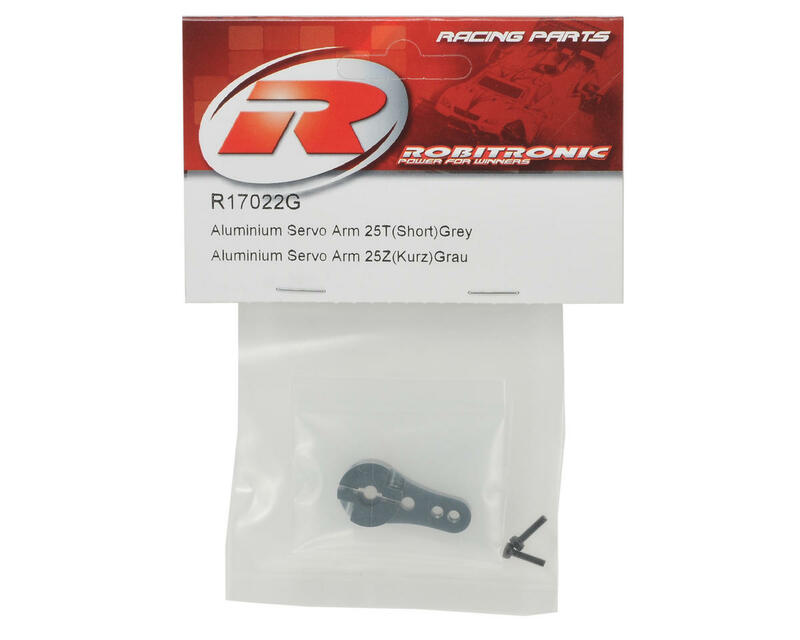 This is the Robitronic Machined Aluminum Single Sided Short Servo Horn, and is intended for use with any servo that uses a 25 tooth spline output shaft. This is not your average run of the mill aluminum servo-horn. 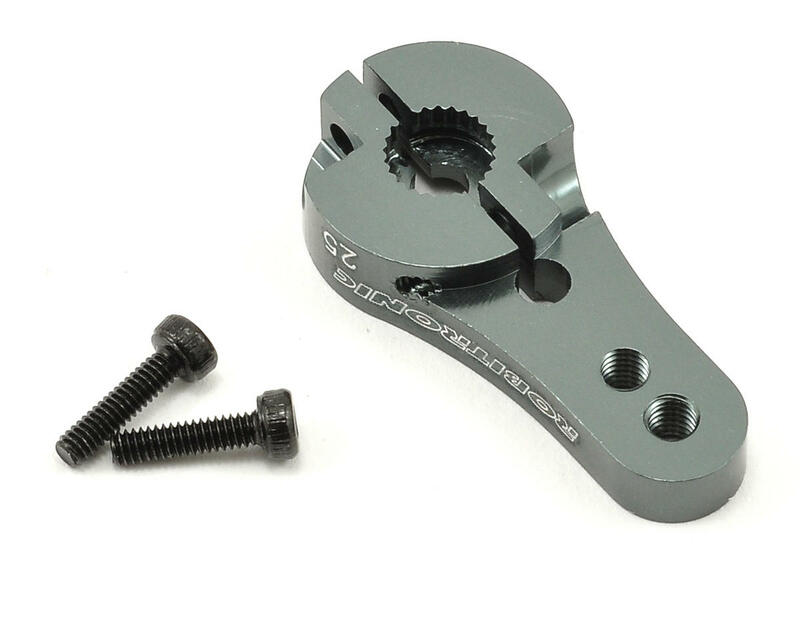 This sturdy and ultra-reliable servo-arm uses a clamping mechanism that grips the servo’s output shaft with enough force that you’ll never lose or strip another servo arm again. Even if the servo horn screw works itself loose, you can keep on racing because the clamp-style servo horn will still provide a firm grip.